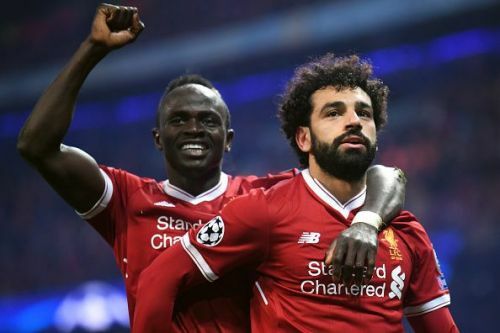 Former England striker, Emile Heskey, believes that his former club, Liverpool, have the upper hand over defending champions, Manchester City, in the race for the Premier League title. The race for the Premier League title is heating up as the neck-and-neck competition between Liverpool and City means every game is crucial and decisive. Jurgen Klopp's side overtook Pep Guardiola's title-winning team on Sunday as they secured a 1-2 win over Fulham at Craven Cottage. The victory means the Reds are two points clear at the top of the league table with a game in hand for City. Despite City going into the international break with a game in hand, Heskey is of the opinion that Liverpool holds an upper hand over the Manchester outfit. "Psychologically it's very important. As you saw before, they were always having to chase Manchester City, they were always trying to stay ahead. Now they've got the upper hand." "It's better to have the points in hand rather than having to go out there and fight for it." "They seem to flourish in that sense - they have done, anyway. They've got players who really want to battle for that, but they have to still go out there and do it." Heskey added that while City is used to the pressure of a title chase, Liverpool is not. "You saw it with Manchester United the years when I was playing; year after year doing it, knowing what it takes when you get to a certain stage during the season, knowing what it takes to actually keep in there and keep pumping out those results." "There's going to be an expectation - there's an expectation when you're at all big clubs. There's an expectation for all of them to actually go out there and be winning every week, and the players understand that; the players know that, the players are aware of that. That pressure brings the best out of you at times." "It's a massive chance for them to be put down as legends. It's a great time for the club." Manchester City will hope to surpass Liverpool when they face Fulham after the international break. Liverpool, on the other hand, has a clash against Tottenham Hotspur on March 31.